Looking for Contractors Insurance in Lincoln? Advantage Insurance Agency is your local Contractors Insurance expert! We insure many different types of contractors from Landscapers, Electricians, Carpenters, and many more! Errors and omissions: Contractors who provide consulting and advice, such as accountants, financial planners, interior designers and landscape architects, need to be concerned about liability risks due to losses a client may experience as a result of the contractor’s recommendations. Bodily injury and property damage: Contractors who work with heavy machinery and tools, such as plumbers, re-modelers and electricians, need to be concerned with mishaps due to hazards such as power tools, defective machinery and compressed gas. Product and liquor liabilities: Independent contractors who serve food and alcohol at functions need to be concerned with potential injuries and illnesses due to food and alcohol served. Medical and disability: As a contractor, you are most likely not on a group plan to cover your own injuries, which can leave you exposed to a loss of income risk if you become ill or injured. Getting the right independent contractors liability insurance in place can protect you from lawsuits, mishaps and third party property damage that can devastate your business. Bodily injury: Provides coverage if you or someone you employ causes injury or death to a third party during the course of work. It provides for medical care for the injured person and covers your legal defense if you are sued for damages. Property damage: Provides coverage if you or one of your employees causes damage to property belonging to others. This includes the building or property you are working on or any third-party property. Completed operations/product: Provides coverage in case a project you finished has an issue or causes damage. It can also extend to any products you sell or distribute. Advertising personal injury: Covers the risk of damaging another’s reputation or causing a loss through slander, libel or false advertising claims. Contract liability: This covers you in a contract dispute. It is not always included in general liability coverage so verify that you carry this coverage with your insurer. The specific independent contractors liability insurance coverage you need will be unique to your business. By working with a knowledgeable agent, you can ensure that you don’t have critical gaps in coverage that could leave you exposed to expensive legal claims. Do you need a Business Owners policy? The contractors general liability coverages can often be bundled with a few other coverages to create a business owners policy, or BOP. This serves two purposes. It expands the policy to cover risks that small business owners face, and also typically results in a discount on the cost of your insurance. Normally, this coverage will make sense for you if you have employees. A small business is basically defined as a business that has up to 100 employees and generates about $5 million or less in annual revenues. Property damage: This insurance covers your owned or rented property if it is damaged. This includes office buildings, storage facilities, warehouses, workshops, or garages. It does not cover commercial vehicles. Business income: This protects you from loss of income if your business is interrupted due to a covered loss. It usually covers income and operating expenses for up to 12 months. Commercial auto: Insures your cars, trucks, vans, specialized trucks or any vehicles used for business purposes. Do You Need Workers Compensation Insurance? As an independent contractor, you may or may not need to have workers compensation insurance. Workers Compensation regulations are mandated state by state. If you are in business for yourself, and you do not have employees, you are most likely not required to buy workers comp. However, in some states you need to purchase workers comp even if you don’t employ others. If you are a contractor who employs other workers, your state will most likely require you to carry this insurance. This policy protects workers from job-related illness, injury or death. It will also reimburse workers for lost wages if they cannot go back to work. The benefit to you, as the employer, is that this coverage can help to prevent losses from employee lawsuits. Should You Consider Professional Liability Coverage? E & O is a liability policy that protects you if you make a mistake that causes a financial loss to a client. Similar to general liability, it will provide legal defense and claims settlements, if necessary. You provide professional advice in your line of work. This can include everything from recommending a particular type of plumbing or wiring to providing interior design services. You hire employees or subcontractors who provide any sort of advice or consulting services. Your state requires you to have E & O insurance due to the work you perform. 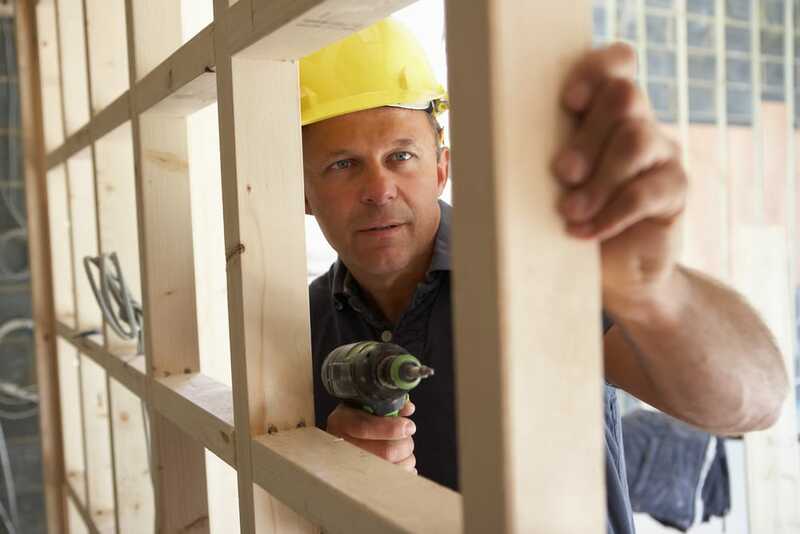 If you utilize subcontractors, it is a good idea to make certain they are insured with professional liability as well, as they may not be covered by your policy. Looking for an Insurance Agency in or around Nebraska? Ready to save time, aggravation, and money?